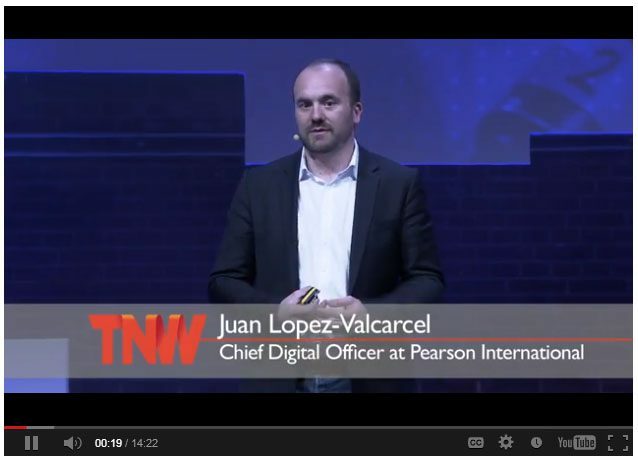 Recently at the Next Web Conference Europe, Pearson Chief Digital Officer Juan Lopez-Valcarcel discussed 7 key technologies that could greatly change the way we educate our youth (VIDEO). He even shared some shocking statistics: 46% of US college students do not graduate. 40% of graduates are told they don’t have the right skills for the jobs they apply for. Some of the future technologies he mentions include the “Invisible Computer” designed to provide information to students without distraction and “Body Language Assessments” to help teachers pick up on students’ learning challenges through body language. Check out Juan Lopez-Valcarcel’s presentation at The Next Web Conference Europe for the rest of the technologies sure to revolutionize education.